Walt Whitman research papers cover his life and works of poetry. Walt Whitman research papers show he is remembered as one of America’s greatest poets by some and as a man who lived outside of society’s boundaries by others. His works covered many subjects, including heterosexual and homosexual themes, politics, democracy, slavery and religion. During his lifetime he was criticized for breaking society’s laws and writing of the unspeakable and praised for being the voice of the common man. Walt Whitman term papers introduce society to many themes that were previously thought of as taboo. In doing so he opened his works up to a level of criticism that even he tried to overcome by revising the tone of his works in later volumes. Today, Whitman is viewed as a courageous man who probably lived many years before his time. He is celebrated for his insight, his willingness to convey the realities of his day, and for his willingness to break away from the norm in order to create a new style of writing. 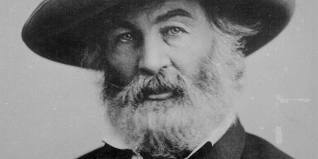 Walt Whitman was born on May 31, 1819 in Long Island, New York. He died on March 26, 1892 in Camden, New Jersey. He was the second of nine children born to poor parents. His father was a farmer, a carpenter and a day laborer. His mother was a devout Quaker. At the age of eleven Whitman quit school and went to work as an office boy at a law firm. While working at the law office, one of the lawyers took him under his wing and taught him composition and how to improve his writing skills. It was during this time that Whitman fell in love with the printed word. Paper Masters writes custom research papers on Walt Whitman and cover his life and works of poetry.